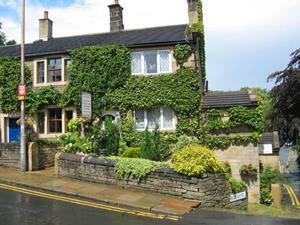 Rosebud Cottage01535 640321work01535 646720fax Guest AccommodationRosebud Cottage is a guest house establishment located in Haworth, Bronte Country. A traditional Yorkshire stone cottage, deceptively spacious offering five themed luxury en suite rooms with luxury bathrooms. The Cottage is very comfortable, fully central heated and double glazed, with private off road car parking and is very tastefully decorated. The needs of the traveller are very much in mind, whether it be business or pleasure, there is tea/coffee-making facilities in all rooms, a remote control colour Freeview TV and a radio alarm clock. We have been welcoming guests for over 10 years and are still passionate about what we do !! The grid shows the prices and daily availability from Thu 18 Apr 19 to Wed 1 May 19. It's easy to check availability for particular dates; just use the calendar to choose the check in date, select the number of nights and click the 'Search' button. Click the Book now or Reserve button to book the highlighted days. With Book now the room booking will be confirmed immediately, with Reserve the room reservation will be confirmed within 24 hours.. Follow brown information signs from motorway to Bronte Country. On passing Haworth railway station proceed around bend and up the hill. Take the 1st right turn after the railway bridge, Rosebud Cottage is 1st house on corner parking at rear.